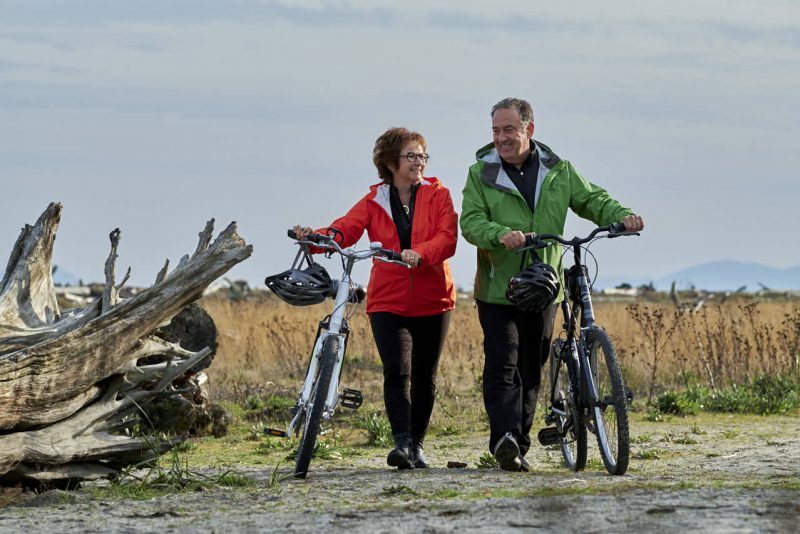 John Harrison was three months into his retirement when the 62-year-old and his wife Carol left their home on a nice summer morning for a regular bicycle ride in Tsawwassen. The couple approached a big hill with different strategies: Carol took it slow, while John went hard and fast. As Carol pedalled up the hill, she looked up to see that her husband, a fair distance away, was now on the ground. As she arrived, John was having a seizure. Carol, who had taken some resuscitation classes in the past, initiated CPR. Soon, a passerby, who happened to be a former firefighter, took over the work as John turned blue. He was having a cardiac arrest. Firefighters and paramedics arrived, and John was intubated and defibrillated. His pulse returned, and John was brought to the nearby local hospital for assessment. Soon he was headed with lights and sirens to Royal Columbian Hospital’s cardiac catheterization lab. 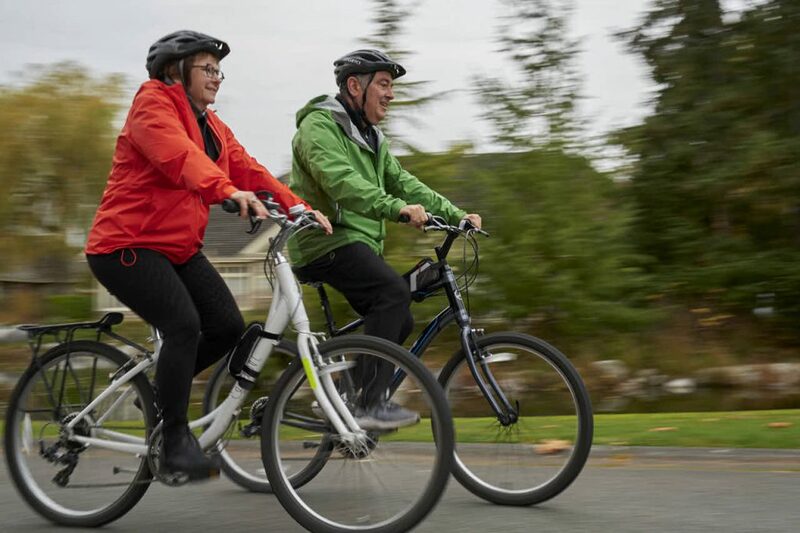 Carol and John Harrison, three and a half months after John suffered a cardiac arrest while on his bicycle. Dr. Chan placed two stents, and John was sent to the Intensive Care Unit to recover. He remained unconscious, and there were still questions about how much lasting damage he suffered during the cardiac arrest. Over the next couple of days, when the family wasn’t visiting in hospital, they were getting updates by phone. It was during one of those calls they heard good news. “I was on the phone with the nurse, and he’s like ‘I gotta go, he’s moving,’ recalls daughter Emily. Now a couple of months later, John recognizes how fortunate he is to have survived.